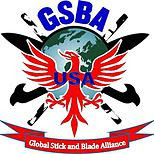 Get the scoop on how to compete in the GSBA Midwest Regional tournament and Nationals! We also learn where the world championship will be held...it's going to be awesome! Francis Serrano joins us to answer every question you have about stick-fighting in major competition.